Being dragged into a virtual reality world after hearing or experiencing the immersion it provides, it can make people totally hooked. Not just because of how great the experience is right now, but the idea of how crazy the future for it can be. StarVR is one of these headsets that can be considered as one of the exemplary destinations to future VR. I mean, it has everything, from crazy good resolution to high FOV. Here is something for those who are not completely up to date with this VR headset: It has a somewhat known fame in the VR world just because its resolution manages to eliminate screen door effect completely due to its ability to have 5120×1440 pixels on its display. It’s so much that you basically can’t see any individual pixels on screen. That is a one of the issues with current VR headsets (Oculus Rift and HTC Vive) where low pixel density kinda ruins the immersion. Having such resolution definitely helps the company to leave a mark in the market. 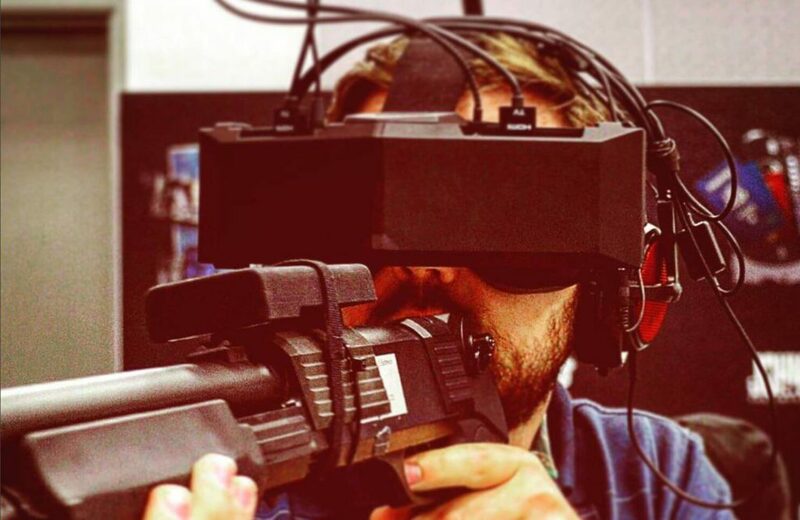 On top of so many pixels, first thing you will notice wearing StarVR is how HUGE the field of view is. Another common problem with VR headsets is that you feel like you are watching events through binoculars. Not only does it add to discomfort, but it creates VR motion sickness in some scenarios (not the only reason though), especially in games where you move fast through space. By adding a 210 degree FOV to headset like StarVR has, you will get a better virtual immersion, AND it’s a lot more comfortable for your brain. As time goes on, VR companies do give us hints of moving towards these kinds of stats, but there is a reason why it’s not here yet. Even StarVR is not commercially available to people. The only way you can experience StarVR as of right now, is if you go to either IMAX VR theatre, find a StarVR showcasing near you, or if you are a developer or presenter of said technology. While we don’t know the exact reason for release delay, it’s probably connected to high entry cost in terms of computer power, and the amount of content it can provide right now. Considering that you need to power up two displays, with a 5K resolution, and on top of that give users a 210 degree field of view experience, I’d say you better pack a VR PC with GTX 1080ti in your lunch pack. Another problem that they are probably battling with is content. You might have the best gaming device ever in your hands, but if it doesn’t have any content on it, it’s worthless. As far as we know, it’s not compatible with SteamVR so that chunk of games is out of the question. John Wick experience is something that was specifically made for StarVR, but it’s only one, and we need plenty. That’s why I believe they are searching for content creators for their device, especially movies, and when enough of them are made, they might give us a release date that syncs well with computers that are powerful enough to power up StarVR. Ain’t nobody want to pay thousands of dollars without good content for it. But how does StarVR compare to Rift and Vive in terms of first experience? 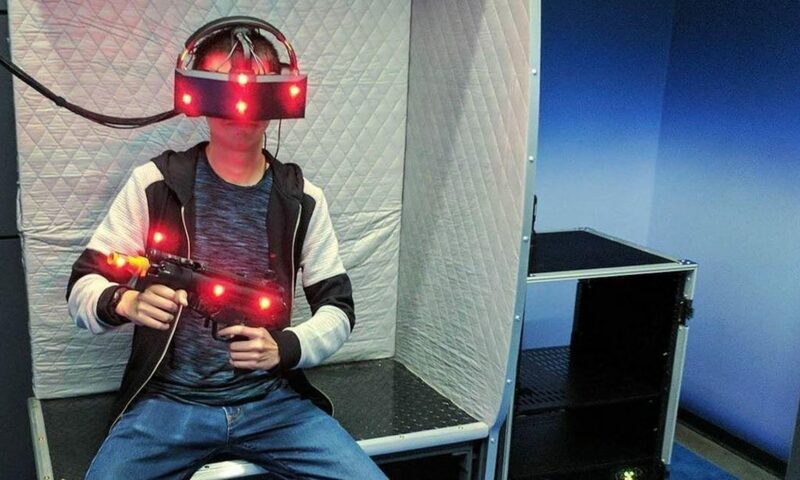 First thing you probably notice when trying out StarVR is comfort in wearing it. If your VR headset is too heavy, face or neck will start to hurt eventually, leading to people removing the headset sooner (not that you have much choice in IMAX VR theatres). This issue was actually present in one of the earlier prototypes even back in Q1 2017. People have reported on various forums and reviews of discomfort when wearing the headset. From that moment StarVR team has assumingly worked on making it lighter and more comfortable for your face. As you put it on, first thing that you’ll notice compared to Vive and Rift is FOV. It’s basically covering your whole field of vision. For example, if in a random FPS shooter there is an enemy to your left, you won’t have to turn your head in order for you to see him. Low FOV is a big issue in VR, which leads to unpleasant experience when playing for hours on end. Ain’t nobody want to watch things through binoculars. With such huge FOV, you only need your peripheral vision to be working correctly, and you’re good to go. I am truly excited for times when such FOV degrees are gonna be a standard in the VR industry. However, if we talk about resolution, everything is not as great as you would imagine at first glimpse. Like I have said before, many of these 4K or 5K VR headsets have a “combined” resolution of that amount of pixels. If we put on the headset, it’ll feel like it’s half of that, and that’s because each eye is essentially a 1440p display. On top of that, StarVR’s freshnel lenses are sadly inferior to Rift or Vive lenses, which means blurriness may become an issue for some. Although they are covering your whole screen, that large FOV sadly damages the stereo effect. Meaning your 3D experience isn’t as full of depth as on Rift or Vive. I would imagine out of all the cons, this one is probably the biggest turnoff for users of StarVR. If we talk about content, then that’s also something that StarVR will have to work on for a long time. Getting developers to build VR experiences requires that they get paid from it. However, StarVR release date for consumer market hasn’t been revealed yet, so that means they have to find those who are willing to create, and pay them individually for such work. Rift and Vive creators are in a lot more comfortable position now. As far as we know, there is a John Wick game that was used on many showcases. Although it did not get great ratings a few years ago, it did market their headset to some degree (John Wick VR and the headset itself did get better over time). Apart from that, there are actually a handful of VR movies made, and in works, that are StarVR compatible. Most of them are probably going to be presented in IMAX VR theatres, powered by Vive and StarVR. 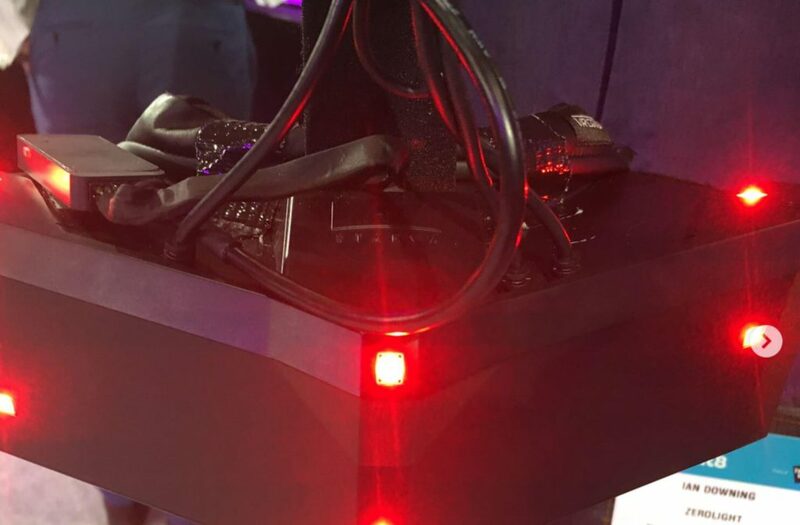 If we go on a more positive note, what I appreciate the most about StarVR creators is that they DO try to install every possible VR technology in it, regardless of price. Even room scale tracking is included. On paper, it looks like the most powerful and innovative piece of hardware ever, and even though they may fall short in some aspects of VR experience, they do try to improve it with each update. It’s not like they created something, and put it on the market to get as much money as possible. They are being partnered with Acer so that probably explains why they are cautious with each news release. Getting bad publicity for having a bad product is extremely damaging to brands. To conclude, I’d say this: It’s not meant for us, it isn’t 100% consumer ready, still has some things to work on, and when average consumer PC’s are going to be ready to power up such a beast in few years time, I think StarVR will be ready to give us a 210 degree FOV taste that we can only get in VR theatres for now. But at this current moment, not worth the money… even though we don’t even know the price for StarVR… but I’d imagine not low considering what it packs.